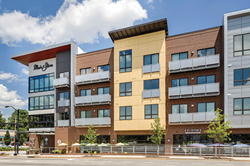 Hollaender Manufacturing was chosen by McMillan Pazdan Smith Architecture to provide railing systems for the high profile Main + Stone mixed use project in Greenville, South Carolina. Main + Stone is a combination of 225 efficiency, one, two, and three bedroom apartments, and 21,000 square feet of commercial space. As a signature project for downtown Greenville, we needed a railing system that would meet our aesthetic and performance requirements. Our expectations were met by Hollaender, and we’re pleased with their overall contribution to the project. To meet these criteria, Mr. Tiberia specified Hollaender’s Interna-Rail component aluminum railing system. It was installed with perforated steel “hemless” infill panels. The panels were electro-coated, then powder coated, resulting in a particularly corrosion resistant coating. 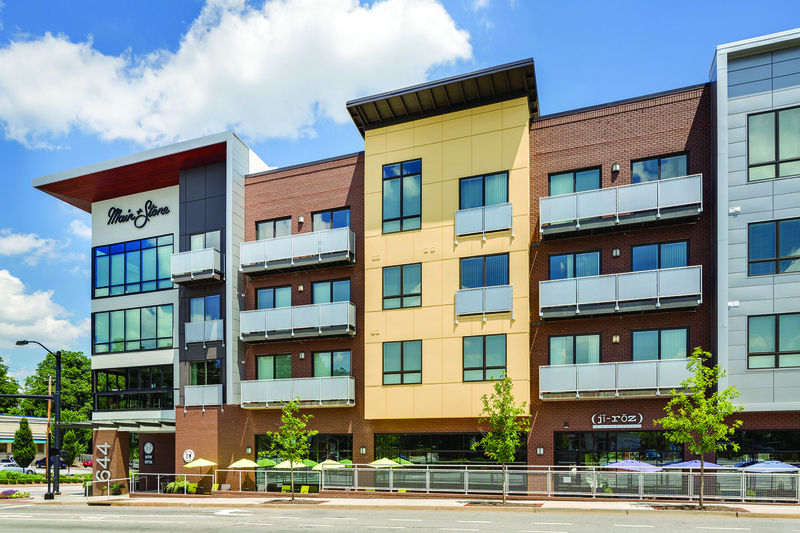 According to Mr. Tiberia, “As a signature project for downtown Greenville, we needed a railing system that would meet our aesthetic and performance requirements. Our expectations were met by Hollaender, and we’re pleased with their overall contribution to the project.